Finally the big day is here! The first of 12 Days of Color! I have been thinking and trying to plan this event since early November I think. I hope you enjoy the “tour” of sorts. To begin with, I thought how fun would it be to just talk and share a little bit about color, and even though I am not a “solids” kinda quilter, I thought it would be fun to feature the newest Kona solids as they are known for their vast selection of solids already(271 to date)…..and they added 28 MORE this fall!! So I thought I would make up a different block from a mix of the New Kona solids and offer prizes at the end of the event. But Wait, there’s more! And then towards the end of my planning and all, I realized that even though they are not “new” I had forgotten one of my all-time favorite modern blender fabric lines, Grunge, by Moda. So I contacted the incredible Lissa at Moda, and got that to share with you too. I was exhausted already thinking about writing up patterns for 12 different blocks for each day….then I remembered the 2013 Designer of the Month blocks from Aurifil. Since I am part of next year’s group and I didn’t have time to write all of those blocks up, I would just use this year’s blocks. I told Kim and Pat about my idea, and their enthusiasm garnered YOU some free Aurifil prizes as well!! 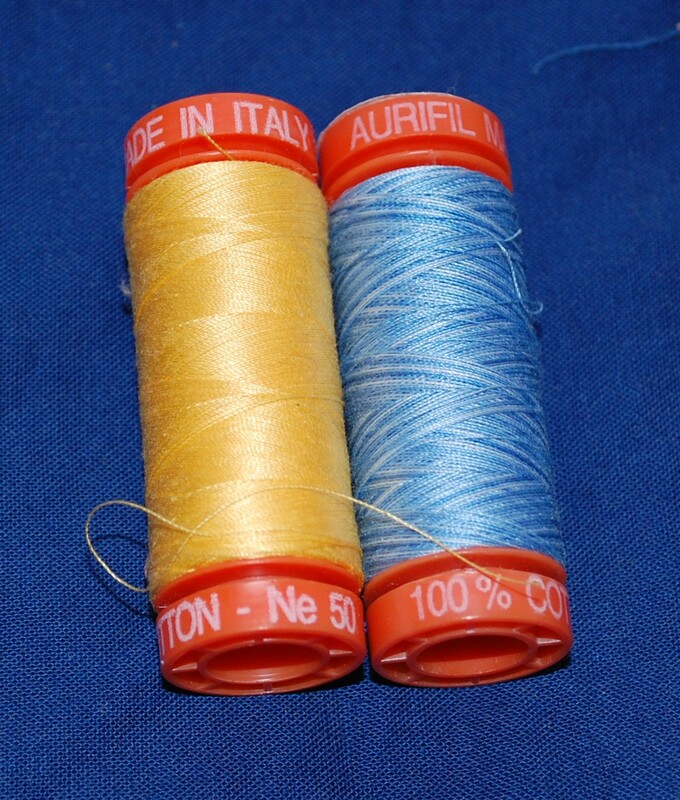 I also thought I would picture two of the beautiful spools of Aurifil floating around my studio each day of the event. These are from my own stash, the ones you win daily are bigger, though slightly less colorful. So here’s how it works from the prize angle….Comment on each day of the event. Comments can be on the lines, the blocks, color in general……Every day someone will win a big spool of Aurifil thread, and a couple random Fat Quarter-ish hunks of fabric from one or two of the four companies. I will have more pictures of the fabric prize packs down the road, and I am trying to get a “grab my badge” button for you to help me share the news about this wonderful trip down the colored fabric road. Hopefully those will be up here in a couple days. Until then, if you want you can share the old fashioned way by posting a link! I would love it if you would do that. Hope you enjoyed Day #1 of the 12 Days of Color! I love your logo! Those little spikey things remind me of the old Tinker toys! I really like the Wee Wander fabrics. I like your color combos, too. Thanks for the fun and lesson in color, I’m looking forward to seeing more. That block is great for lots of different looks. I love it in grunge and the one with the horse. I don’t think to buy many solids yet, but they are beautiful in your block! Great logo! I loved all the colors and enjoyed their use in the blocks, but I must agree that horse is irresistible. Thanks for day one. Those grunge fabrics are some of my all time favorites! And I, too, would have to go shopping to have some solids in my stash. This is a fun block to show. Thanks. Love your logo, and the grunge block!!!! I am so curious to see where you go with this! I have difficulty with solids too. 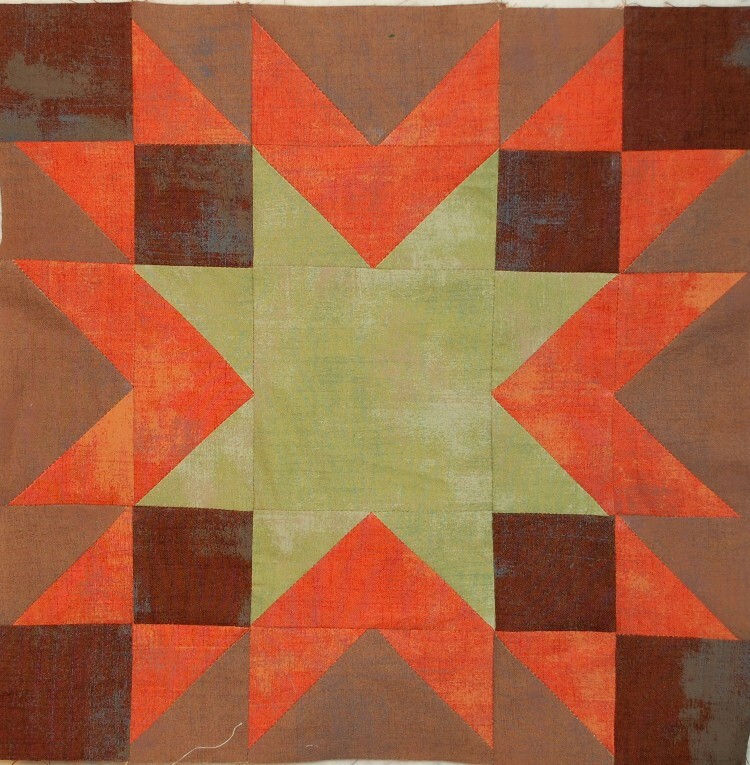 They just seem so stark to work with although I love a lot of the solid quilts I see. Interesting Day One! I don’t use a lot of solids. It seems my solids are really prints that read as solid. It will be fun to follow the 12 days. Thanks so much! I love solids and use them a lot. Awesome blocks! This is really cool to see the variation of one block from solids to prints! Great idea! I have a hard time with doing just solids too, I haven’t done a quilt in just solids yet but I do want to. Hopefully you will give me some inspiration to do so! Thanks! Loving the logo and all of the new Kona colours but particularly the turquoises. I love the Wee Wander version. Yes, that horse is irrestible. What a fun idea! I don’t do a lot with just solids either but the Kona colors are so wonderful and your blocks just may inspire me to use them more on their own. Love the prints too! Seeing this on a cold, dark morning in Michigan makes me want to forego work today to stay home and sew! Love the block! I’m always amazed at the different looks you can get in a block by switching up colors and fabrics. Looking forward to the next 11 days! Scott I just LOVE the logo! That alone must of took more planning than I do in a month. Can’t wait for the badge. I’m not a piecing kinda girl but I must say those block work ups are most special. Love the way you combined the colors AND shows the variety of options with different fabric lines. Thanks so much – great stuff! What a great idea! I’ve stayed away from solids (other than for background) so far. I think it’s because I figure the quilting will show up so much more on solids. I’ll be following along for the 12 days. I love your logo, don’t usually make solid color fabric quilts. I think I shy away from solids for fear that my quilting isn’t perfect and the solids will showcase the imperfections. Now, you have me rethinking that position! I’ve been in trying to use what I already have and therefore avoided shopping newer collections. I think I need to find some Moda grunge. Thanks for featuring the block in different fabric lines. Love the colors the block really get a different look from color changes. Good to have all the colors of thread to go as well Love the logo. I love the Kona solids! I love the logo – bright and colorful, and solid. LOL I am a solids person and terrified of patterns. I am very new to quilting though I sewed and cross stitched for many moons. I gene really go with all solids and one (maybe two) patterns. My friends assure me it will come with time. Meanwhile, I love the Grunge and Kona and have been dying to try the Aurifil for my machine embroidery since I heard it was the best. I am excited for the next 11 days! I’m a huge fan of the grunge fabrics. They feel less “solid” which seems to help me get past the solids issue. Love the logo! That’s what caught my eye! I love the saturated solids. I’ve been contemplating working with some. I need to get a real color chart. Aurafil is my absolute favorite. Oh this will be fun! I look forward to seeing the colors. I am ADDICTED to color. I love ALL the colorways. Can’t get enough of it. And I can’t seem to make a quilt anymore without putting some grunge fabric in it. I used fabric from the grunge line when I was making a bookcase quilt. The brown grunge I used looked like a old bookcase that look needed to be refinished. Perfect for that quilt! Love those solids and the grunge. I will have to see what I can so with all of my batiks! Looking forward to following along! Love your site. Not sure why you call the one grunge, pretty colors. Especially like the one with the horse in the middle. The logo is very cool! Also, very interesting the way your choice of fabric can make a block look so different. I’m not one for solid fabrics as a whole, but love the blocks with the prints. Very nice. Love the 12 day logo, change the colors and it becomes fireworks. Blue and yellow thread looks like spring to me, nice thought on this 8 degree and snowing day. I love the names. I also love the fabric and the threads. Since I have been doing some free standing lace bookmarks, the threads are what I looked at the most and I have love them. I use lots of thread, because I do embroidery on my quilts. Fun idea Scott! I adore Heather Bailey, and Sarah Jane. I’ve always loved Grunge, so I glad to see it used. I’m not typically attracted to “cute” fabric, but that Wee Wander block is perfectly adorable! What a fab way of discussing color! I love the Grunge colors and now must hunt some of those down myself! Thanks for hosting a Christmas treat! The block is nice and it is fun to see how color changes it. I’m not very good with solid colors but I love Auriful thread. I am looking to get some embroidery thread and try my had at that on my quilting. That Wee Wander block is beautiful! Great logo too. I love the color combination of your solid block! Love your logo, blocks and of course Aurifil thread. I’m looking forward to learning more about this “wonderful trip down the colored fabric road”. I love the colors in the solid block, they look great together! I love your color choices–that is always the biggest struggle for me. I ADORE the horse! Gotta keep my eyes open for that fabric line for sure! love the logo and all the kona fabrics. i usually don’t go for blocks all in solid colors but love these. That grunge block is really calling to me for some reason. It’s not something I would have ever thought about putting together, but the “lived in” look of the fabric just makes it look great. I can picture a lap quilt made with these fabrics, and it would instantly “feel” like an old, comfortable friend. I love the Grunge colors! Would love to use them in a project! Exciting, Scott!! Awesome logo, I’m impressed! 🙂 Absolutely love the Wee Wanders block and Grunge block. What an awesome masculine quilt the grunge one would make. I am trying to add additional solids to my stash. When I saw your logo,I went to your blog immediately. It is great seeing the same block with variations of fabric and color. Looking forward to day 2and beyond. Thank you. What a great idea – so much inspiration – thanks! Love the Wee Wander block, it’s magical! Love your blocks! I am also not really into solids, but definitely going to take the plunge! What fun Scott! I love the Wee Wander fabric….I may need to go shopping. =o) I will miss most of your contest as we are headed out of town but I wanted to pop in and say hooray! I love the block with the grunge fabrics. Kona solids are usually what I use when I need a solid colored fabric, they do have so much to choose from. You did a great job with the logo. I totally get the issue with solid colored fabric. I need to sneak in a dot or something to break up the solids, even though I like them when others do solid quilts. And, I love Aurifil thread! I love seeing blocks done in different colors/fabrics. It’s amazing to see what happens, how the look changes. I’m glad you are playing with solids, too. I need more solids, so this is inspiring. You have taken on quite a challenge! Love all the patterns but we do need the solids to gives us a rest, don’t we. Looking forward to the rest of your days’ projects…. I am new to your blog. I just had to stop by as I love color. I’m the opposite of you. I have a hard time working with prints. I love your logo. I look forward to seeing more blocks. As a beginner patchworker/quilter, it’s great to see how much difference different colours and fabrics make to the same block design. My fave of the above blocks is the one made with Wee Wander fabric. – Stunning!! love the logo and love the blue aurifil! I love seeing this block in different colors and styles. I can’t wait for Wee Waunder to be available! It’s so adorable! Thanks for the chance to win! I Love this block, and have made it in blue/green and white. I love the horse block with the honey and bees around. And I’ve just tested Aurifil thread, fantastic. I love the grunge colors….thinking pastels would be nice too!! Love your ideas! You’ve also convinced me I need to branch out and try more solids. Thank you! I love your blog but I only know how to get here by using facebook. No place to buy thread in my area. I just fell in love with this block and can not wait to make one in all different colors. I love all fabric and do know how hard it is to use just solid colors. Thanks for the giveaway. One of the hardest things to convince people to do is to look at the pattern, not the colors that the maker chose. Love your color play. Wow. There is something about the grunge block–it is lovely–though I do love the fussy cut horse! I will readily admit that putting colors together is intimidating to me, so I am looking forward to see what you do. I am hoping to be educated!!! Your logo is awesome! I’ve been waiting for this, I really want to learn more about color and fabric. I love finding colors that I never would have thought to put together, then when I see them I love it. So many beautiful colors of solids but have not worked much with them, would love for that to change. Like Heather’s and the Grunge blocks. Love Aurifil! So many pretty colors as well. Thanks for Day 1! m a high contrast kind of person. I don’t use a lot of solids when I make blocks but I was surprised how much I liked the grunge block. Would be great for a teen or older guy. thanks for the color fun. I love your blocks esp the one with the horse in the middle. It reminds me of the carousel I loved to ride when I was a child. Wonderful blocks, I don’t use a lot of solids unless my prints need a little calming effect. And the Aurifil thread is my favorite since my best friend bought me my first roll. Constantly surprised at the difference the colour choices make to the final look of a block. The above blocks look really different. I love the grunge block! Those colors are wonderful! I am afraid to use brights. And I love the grunge! Right up my alley! I really like the grunge fabric although I personally like brighter colors. I love Aurifil. 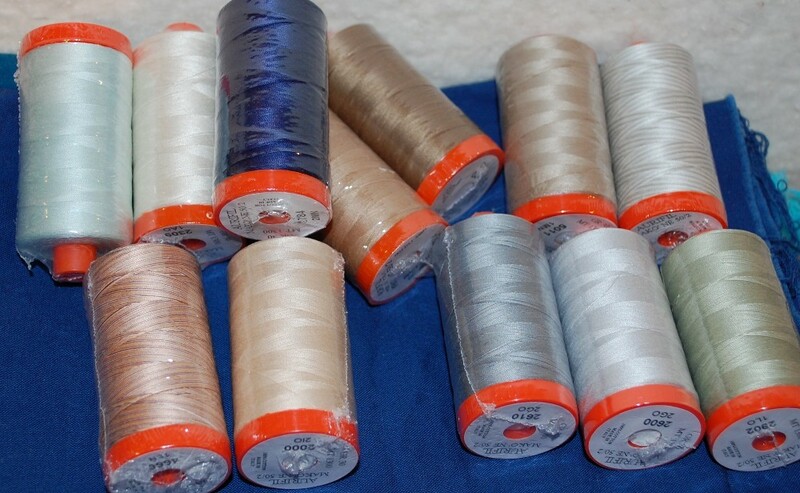 I’m going to give my mom a couple spools for Christmas along with new quilting supplies. O love love love your logo! And the wee wonder block is awesome. 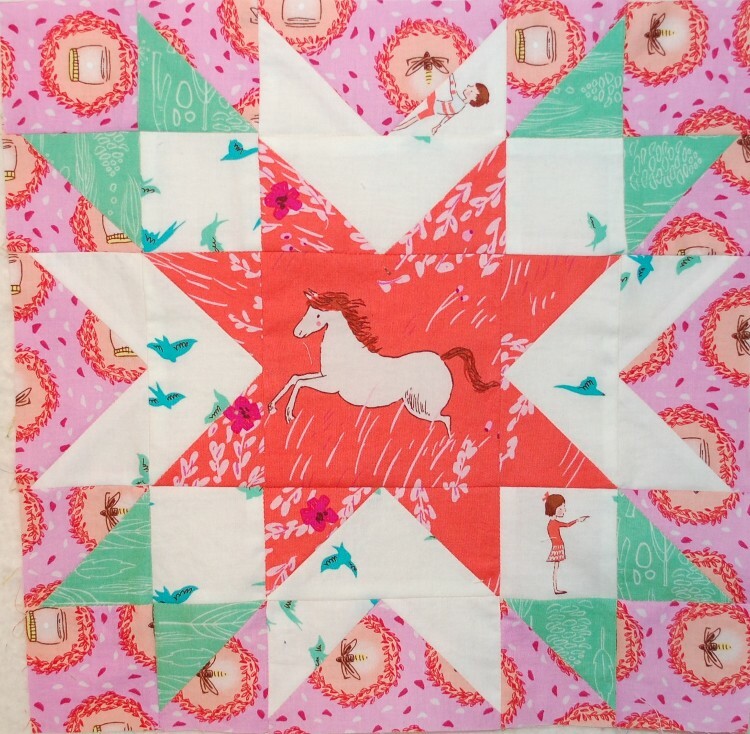 I can just imagine the fun of looking at a whole quilt with the fussy-cut pictures, and making up a story about them. Thanks for the fun! I love the new Grunge colors. I love the color combo in Heather Bailey’s True colors that quilt sq. is assume. I do enjoy the clean pure look of solids, but the wee wander is pretty cute. I love the Grunge block. I would love to have my stash grow with some solids. I really like the grunge one, the colours work so well together! Loved the blocks, colors and the logo. Don’t use solids much but enjoy when others do. Today’s aurifil colors are very pretty! Love the colors of the thread….wouldn’t the block be great in those colors? I love the colors in the very last block. I also like how much color changes a block. I love playing with color to see how different something can look. Love the patterns and colors in True Colors. Beautiful combo of patterns. You have done a great job pulling it all together. I love the logo and all the blocks. Especially the one with the horse and the two almost hidden children. Heather Baileys True Colors are great blenders! Also, who can turn down Aurifil thread. It’s the best!! I love the different blocks. Gives lots of ideas. I love all the colors….yummy! I recently bought a bunch of solids and gave them to a friend who is marbling them for me. I love the Grunge line, will be looking for that one in my local shops. yes, the horse is great. I’ve never really liked grunge before, but I really like that block! And the horse is adorable. And frankly, I like all the blocks. Wow! I love those grunge colors. I haven’t seen them before. I hope you will provide a few more deets on those in future posts. Great logo, btw! Thanks for sharing! This is an awesome plan. I look forward to following this adventure. Gotta love that Grunge. Looking forward to the next 12 days with you Scott. I can do solids but then after a quilt or two I find I need a huge dose of Kaffe prints gone wild. It’s cool that different fabrics make the same pattern look totally different. I’m not much of a solids person either, but those solids look good in these blocks! 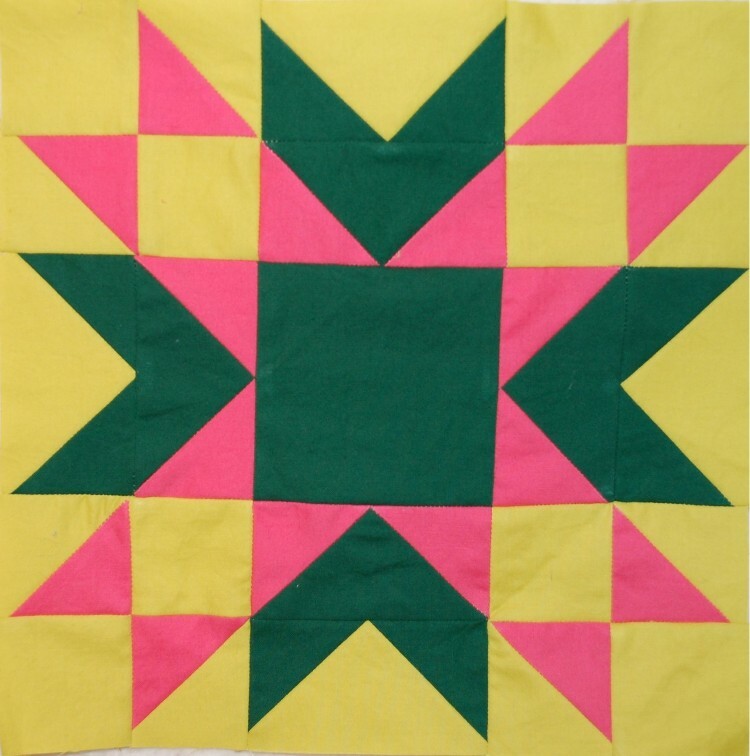 I have always appreciated solids and love the graphic-ness of a quilt made with solids, both traditional Amish quilts the the very popular right now modern quilts. I have a pattern made with solids I’ve been wanting to make for some time now. Time to jump in! Thank you for the generous giveaway and good luck to everyone! Love all your blocks! I am partial to solids, myself…but do love all colors. Thank you for the chance to win. FUN FUN! LOVE THESE THREADS! Great job on the blocks! I’m not really a solids person either but I’m trying to get into the groove and the new colors are great. I have to say I am a grunge girl! Love all the colors and quick thinking, thank you for that because we benefit! Yeah Scott, got the pom pom’s going! Love Aurifil, so I will be following along! I love the Heather Bailey’s block colors! They are so pretty! This is really neat to see how the blocks look w/ the different color choices! I do like to use solids to make my favorite prints look really good! The Horsey block is my favorite. LONG LIVE AUROFIL THREADS! Love them. The block looks so different in the different fabrics. I’m not familiar with Moda’s Grunge line. I’ve been on a quilt shop diet (stay out of shops so I don’t buy) I like the texture of those blenders. Would work great with lines with lots of prints. Thank you for highlighting the blocks and fabrics. Looking forward to seeing what you post each day! Love all your blocks!I love mix solid fabrics with floral or other fabrics.I`ve never done a quilt only with solid but is on my to do list. I really like your first picture that you have with all of the Kona’s and then the yellow and blue variegated Aurifill just makes me go all jelly like inside. 12 Days of Fun! !…… I will blog all your hard work because I cant seem to write any of my own, so thanks there and thanks for the color InFO……..
Heather Baily fabric is beautiful. I love the color palette. Thank you for the giveaway. I like the block done in Wee Wander, but I love the block done in Grunge. Those colors really pop. Absolutely love the blocks, and your logo is awesome! The horse in the middle of Wee Wanderer is such a visual stunner! My favorite hands down. To fussy cut that into place…love it! Great job on the logo! I must admit that I too have very few solids and struggle with their use unless following a pattern. Looking forward to the next piece. Love the logo and all the colors. I especially like Heather Bailey fabric block. these 12 days should be fun! I love the Grunge Fabric. I am going to have to find some for myself. Loved this block when Pat Sloan introduced it in January on the Aurifil blog. I am more comfortable with solids and hope to learn to use patterns more confidently in my blocks. This series will definitely help new quilters like me. Your logo is awesome…I agree that looks like Tinker Toys to me too, telling my age I guess. Merry Christmas from Oklahoma. I love the block with Wee Wonder. I plan to buy some when it comes out. I love your logo! The old fashioned font really makes it. And I like that you made the blocks with different fabrics, solids or not. It really changes the appearance of the block. Thanks! I don’t have any Kona fabric yet because they don’t stock it here where I live in Italy. Hopefully…. It always amazes me how the same block looks so totally unique in different colourways. I’d forgotten about the Grunges. Love them. I love the ‘grunge’ block! I’m so glad you’re using the Grunge fabrics since they are some of my favorite blenders. I really love their “painterly” aspect. I love your logo!! It reminds me of my little doll I keep by my sewing machine and when I goof I can grab it by its legs slam it and yell Damnit!! It always amazes me how the same block will change by the changing of the colors! Love this block. I haven’t used solids for an entire quilt but recently purchased Kona red and Kona white for a two color quilt. Love Aurifil thread! I love the block with the centered horse! The grunge block too! I may have to get some of that! I used to have difficulties using solids, but now I love them! I really like the January Block by Erin Russek. The colors are so bright and true. Forgot to say which block I was referring to:Done in Kona—Wasabi, Pesto, and Punch!! 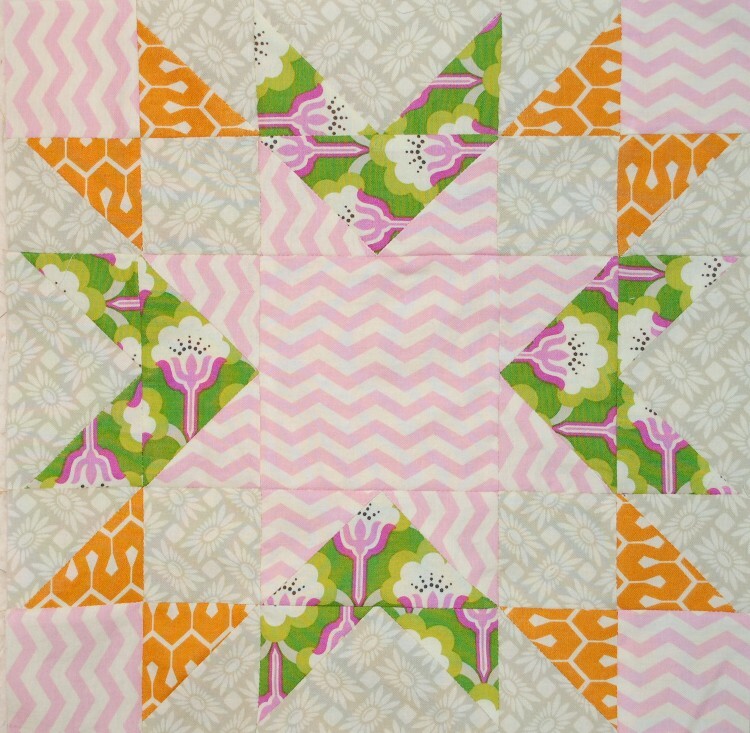 Oh, what fun – love the versatility of this block! I love the logo! It’s so full of motion, lively & colorful too. I have to agree, the horse is the real winner in my book. 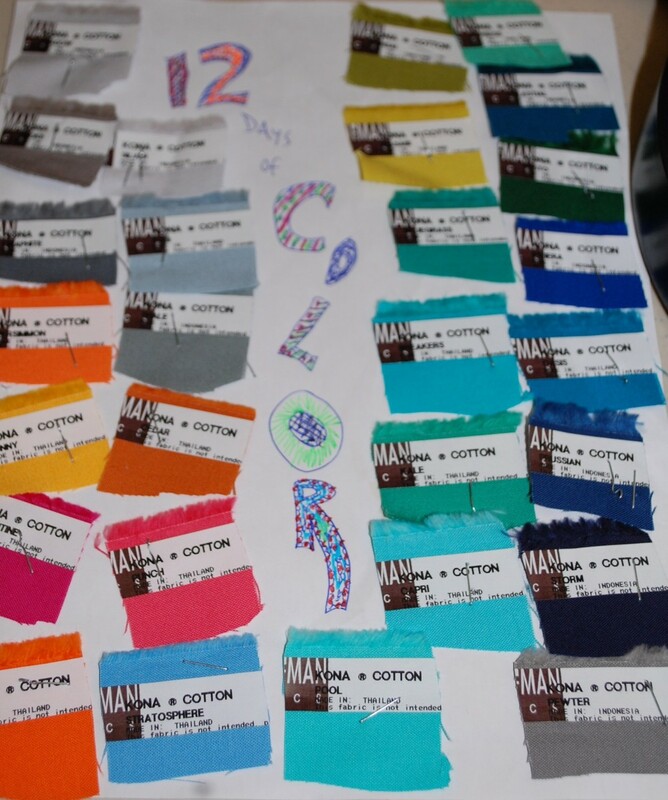 I am amazed at how many shades in each color there are in kona cotton. I really like that green heather bailey print. I think you did a great job with the logo. The fussy cut horse is cute. My granddaughter would love it. Love the block done in the Wee Wander fabric! The fussy cut horse is so cute. I can see a whole collection of similar blocks in a child’s quilt. What an awesome giveaway, thank you. I too like the little horse and the grunge fabrics are perfect for fall. Your logo is what caught my eye! Thanks for the give away chance! Merry Christmas! Making my way back through these great posts. You are convincing me to give grunge a try. Love the kona colours today! And the two threads. Your logo is great – very enticing:) Thanks for the colour fun. I love all of these so much! Thanks for the eye candy and inspiration! I really love your fabric choices. I have a hard time picking out fabrics that really work well together. Yours are just so much fun. Thank you for the ideas. Scott i am blown away at how much work went into the 12 days of color. Thank you for doing this what a treat to see each days blocks and and know that I can mix and match colors and really not worry about it! I cannot wait to see the rest of the days!! 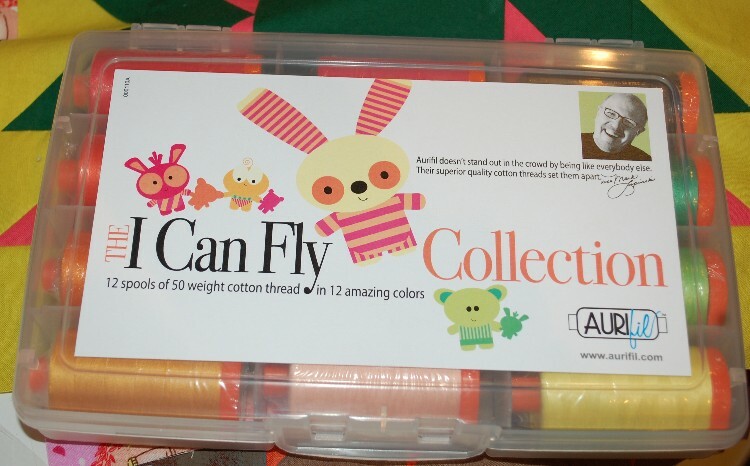 Love your idea for using the Aurifil blocks 2013 as a recap before they start again (yes, they are still on my list!) and all of these you came up with fabricwise are fascinating! Wee wander and Heather Bailey tie for my affections today, but I love all of them. Great job! Awesome way you networked to get this event going too! I’m kind of later commenting on all of these. They all look great-especially that grunge block. What a great idea for a series! Love that fussy-cut horse! Wee wonder horse is just darling. Love blender fabrics and that grunge is looking just fine. Sure like to see the aurifil 2013 blocks used in your 12 days. Thanks for all the work you put into this. I came to this on day 10 and have really enjoyed going back and visiting each day, thank goodness I didn’t miss any. HI, THANK YOU FOR DOING THIS>SO NEAT! LOVE THE HEATHER BAILEY BEST! I am in love with Heather Bailey’s True Colors–yummy! Wow!! I love the horse, all of Sarah Jane’s lines appeal to me and I am also a big fan of Aneela Hoey who does similar fun designs. It truly has been fun reading back on all these posts. I’ve enjoyed reading the stories and seeing all the different fabrics. What a great way to showcase different fabric lines to quilters! I’d love to be a part of something like this! I’m also glad I started reading the newest to oldest posts…I really got a good sense of the progression through the 12 days of Color Tour! Well done! True colours block and your logo is very eye catching! It’s amazing what a block can do. I will be stocking up on some solids and quit buying so many prints. LOVE the Wee Wonder block! I just found your page at 11:00pm California time on New Years Eve….so I’m going to try and comment on each day! Sorry for all the last minute comments. Today is the only day I’ve had to write – I really enjoyed following along. Thanks for the giveaway. love the grunge block, reminds me of early fall. Pingback:	Something fun for a few more days…..